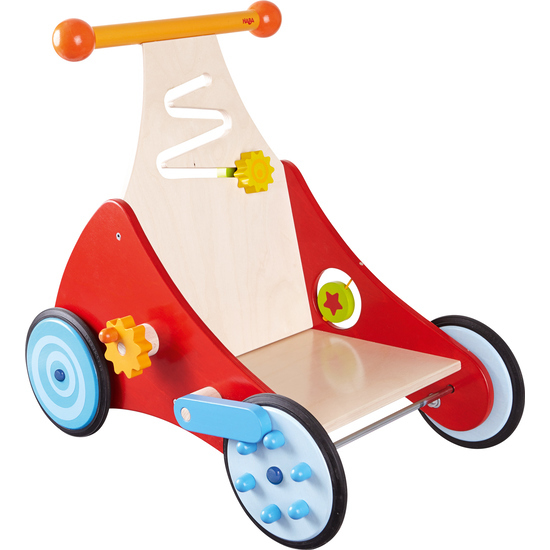 This discovery wagon has many fascinating features for children learning to walk. When pushed along, a lever and pin create amusing clattering sounds. Wonderful spinning games on both sides invite exploration, and a delightful sliding game is integrated into the back of the seat. Little ones can take a rest on the seat, drive their stuffed animals or transport building blocks.